Sandals are an item of clothing that have been around almost as long as civilisation itself, archeological findings have discovered evidence of sandals up to 10,000 years ago, discovered in Oregon, Fort Rock Cave. Primitive in design and construction, they still showed the beginning of the well known sandal design, boasting a woven fabric to hold the toe area in place. Throughout the spread of the human race over the coming thousands of years, sandal findings were climbing, with that we can observe advancement in design, with additions such as fur lining, animal hide, platformed wedged heels and even jewels added to brighten up an otherwise functional item of footwear. From these early beginnings, these simple yet effective shoes have left their mark throughout history and across all parts of the globe. One area with a large significance is the ancient Egyptian period, showing strong appeal to the sandal. The Pharaoh Narmer, famed for unifying Egypt and becoming the founder of the First Dynasty, to a lesser extent is famed for his love of sandals. Wall paintings depicting the Egyptian King show first evidence of the importance of sandals across Egypt. 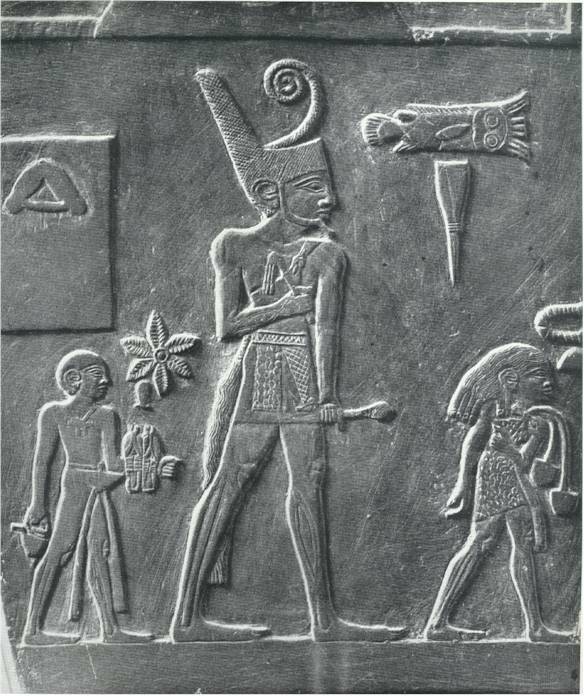 The image of Narmer is shown followed closely by his sandals bearer, ensuring he never has the shoes far away. They would even be left in pride of place upon his throne on his absence. Even the bearer themselves were held in high regard. Sandals were definitely a sign of a high status amongst the Egyptian people, with only the top of society deemed successful or powerful enough to wear them. As an example, Tutankhamun was buried with no fewer than 42 pairs of his favourite sandals. From this high beginning, sandals have had a very fruitful and popular life, spreading across the globe. Countries such as Japan, China and even South America fell in love with the simple sandal. The Greeks were once such a country who placed great stock in these shoes, manufacturing a vast amount of different footwear, including of course many varieties of sandal. Unfortunately there is limited amount of actual physical evidence of Greek footwear. However, the Greeks to their credit created a large amount of artwork to back up their creations, these have luckily survived through the ages. Of course in time, the Romans famously invaded Greece, overtaking their land and enslaving their people, during this occupation the Roman People began to adopt many of their customs, including the wearing of sandals. It wasn’t long before the allure reached their homeland, eventually even the top echelons of Rome saw the beauty in the footwear. The Roman’s even coined their own variation of the name, in Latin tongue ‘Sandalium’. During the rise of the Empire, the popularity of the humble sandal rose. Colour for example was used to determine social status of the wearer, red was used exclusively for Emperors. Julius Caesar had a special red and purple design specially reserved for him and his children. Despite the popularity of sandals, there was still a status quo to be upheld, one such unwritten rule was that they were preferred to be worn indoors, stepping outside with them would alert others that you were in the depths of poverty. 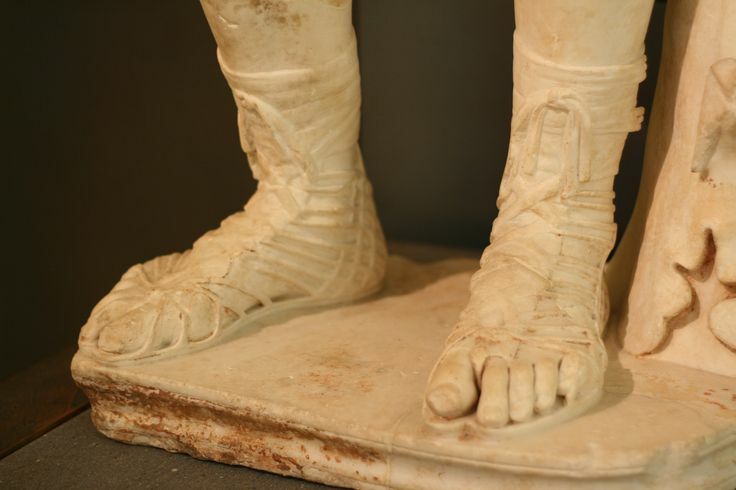 The Romans were some of the early designers of incredibly elaborate designed sandals, a sign of the start of their infamous decadent lifestyle. Even the Emperor Nero had a fondness for sandals, the Nero who nearly single handedly was responsible for the demise of the Roman Empire with his extravagant spending. The infamous ruler’s lavishness even spread to the sandal design, with stunning silver pairs crafted for himself. His wife’s design was even more elaborate, a poured gold base encrusted with the rarest jewels. Due to Rome’s dominance across Europe, the popularity of sandals spread to all their occupied countries, leaving their mark across multiple lands. However, once Rome fell, and their grip was released from Europe, the sandals phenomenon almost simultaneously began to decline. For much of the following centuries, sandal wearing was almost non-existent in Europe. Towards the late 1800’s the French designers looked back upon ancient fashions, one such inspiration that caught their interest was of course the forgotten sandal, giving them a much needed lease of life. But it wasn’t till the early 20th century that sandals became popular once again, harking back to their heyday during the Roman Empire. The revival can be pinpointed down to the cinemas fascination with movies based on Biblical stories. Thousands of sandals were created for the huge numbers of cast members, with the top actresses in particular choosing to wear them off set. This led to fans wanting to follow suit and donning similar footwear. One designer at the forefront of sandal design during this period was Salvatore Ferragamo, who introduced new designs such as the heeled wedge and peekaboo style. With the heeled variety in particular being associated with the popular pin up girls of the time. Throughout the course of the 1900’s sandal production steadily increased into the millions, largely in part to the new interest in cheap plastic manufacturing. The 60’s introduced us to what was to be known as the ‘Jesus’ sandal. Simple yet practical with a leather v-strap or toe ring, these were particularly popular with the hippie movement of the day. The following decade, their was a sudden interest in foot health and comfort. This gave rise to the famous Birkenstocks, allowing freedom of movement and much better support than previously possible. In recent years, sandals have become even more accepted for day to day wear, it’s not uncommon to see fashionistas and off duty catwalk models stepping out in fashionable sandals. A definite turning point was when the simple shoe with the humble beginning graced the pages of that illustrious magazine, Vogue. Since, fashion houses everywhere having been feverishly creating interesting designs each successive season in time for summer. “Are the Jews in the US successful because they are doing something unfair, or illegal or morally reprehensible?”Well, maybe not, but what about taste? I mean, is it right to throw the Gentiles inadequacies in their faces like this? This is just amazing. Comforting and inspiring…. Wish I’d started reading your stuff sooner, man!I can so relate to this feeling, but I doubt I could put it in any better words. Thanks for sharing it.